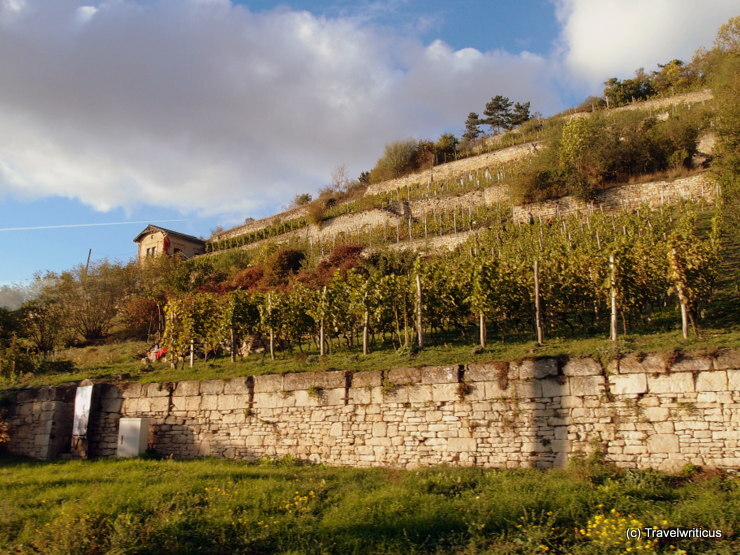 While travelling through the wine-growing area of Saale-Unstrut one can see a lot of steep terraces with centuries-old dry walls and romantic vineyard cottages. The region is open for many kinds of movement: Hiking, cycling and even canoeing. This entry was posted in Wining and tagged Germany, Saale-Unstrut, Saxony-Anhalt by Travelwriticus. Bookmark the permalink.